The latest Shoei collection brings us the J.O. : a sleek shell open face helmet reminiscent of the vintage helmet designs we all know and love. It's a lightweight, compact helmet that manages to combine its retro-inspired looks with modern functionality and technology. It comes in a variety of gorgeous colour schemes and in our book it's an instant classic. 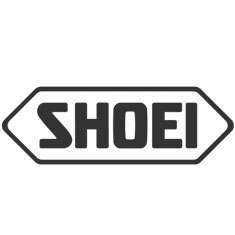 Shoei made the J.O. a very safe helmet: the AIM shell is constructed out of organic and multi-composite fibre in five layers for optimum shock-absorbency and rigidity. Anyone that's ever owned a Shoei can attest to their comfort and seemingly universal fit, and that is no different with the J.O. The integrated visor is available in three colours and is adjustable to three positions which makes it easy for you to find your own sweet spot.